Fig. 1: Examples of acquired axially-symmetric transparent objects rendered lit with two frontal area light sources. Abstract: We propose a novel, practical solution for high quality reconstruction of axially-symmetric transparent objects. While a special case, such transparent objects are ubiquitous in the real world. 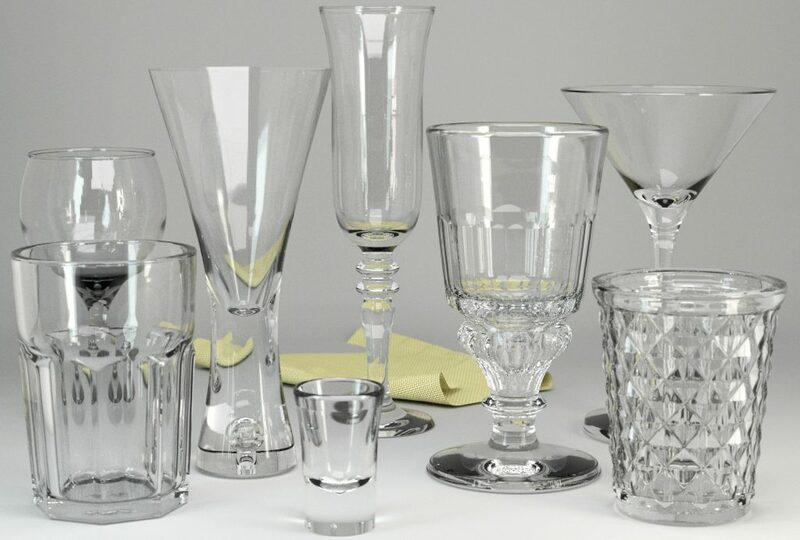 Common examples of these are glasses, tumblers, goblets, carafes, etc., that can have very unique and visually appealing forms making their reconstruction interesting for vision and graphics applications. Our acquisition setup involves imaging such objects from a single viewpoint while illuminating them from directly behind with a few patterns emitted from an LCD panel. Our reconstruction step is then based on optimization of the object’s geometry and its refractive index to minimize the difference between observed and simulated transmission/refraction of rays passing through the object. We exploit the object’s axial symmetry as a strong shape prior which allows us to achieve robust reconstruction from a single viewpoint using a simple, commodity acquisition setup. We demonstrate high quality reconstruction of several common rotationally symmetric as well as more complex n-fold symmetric transparent objects with our approach. Publication: Acquiring axially-symmetric transparent objects using single-view transmission imaging. Jaewon Kim, Ilya Reshetouski, and Abhijeet Ghosh. Proc. of CVPR, June 2017.